You're in the right place because we've got exactly what you're looking for! This Time Travel Boxes skin is the perfect way to show off your style! Or with hundreds of other MightySkins designs, you can be sure to find one that you'll love, and that will show off your unique style! MightySkins are durable, reliable, made in our state-of-the-Time Travel Boxes production facility in the U.S.A., and backed by our satisfaction guarantee! HTC VIVE Pro VR Headset are not included. 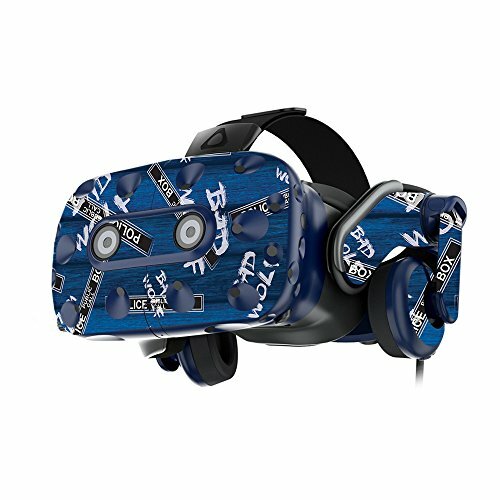 PROTECT YOUR VIVE WITH STYLE:: Show off your own unique style with MightySkins for your HTC VIVE Pro VR Headset! Don't like the Time Travel Boxes skin? We have hundreds of designs to choose from, so your HTC VIVE Pro will be as unique as you are! PROUDLY MADE IN THE USA: Buy with confidence from an American owned and operated company! MightySkins are produced in our state-of-the-Time Travel Boxes facility in West Palm Beach, Florida, proudly made in the U.S.A.!